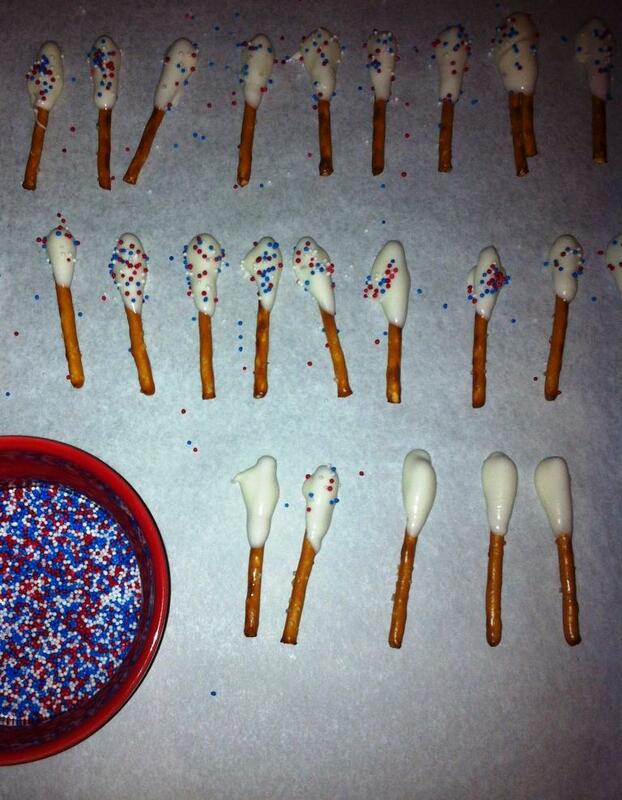 Here’s an easy treat we made in honor of the Olympics this week! 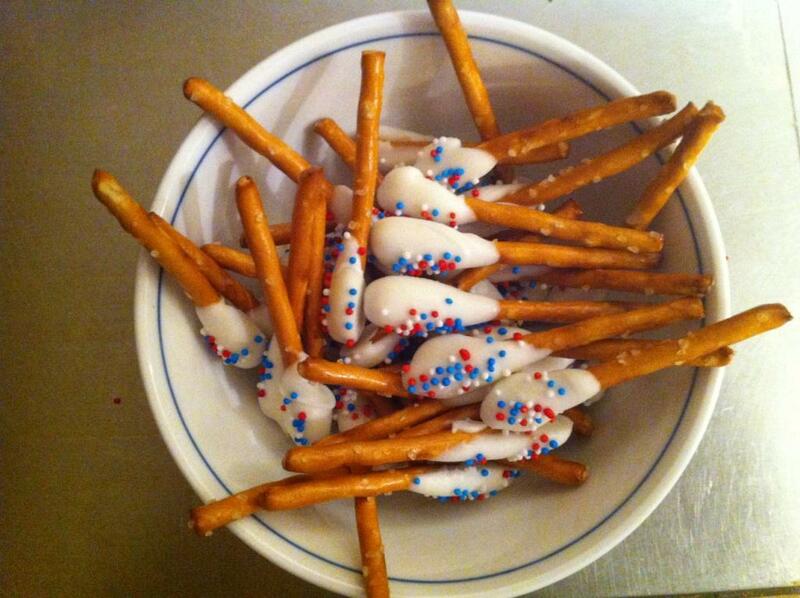 Patriotic Pretzels! 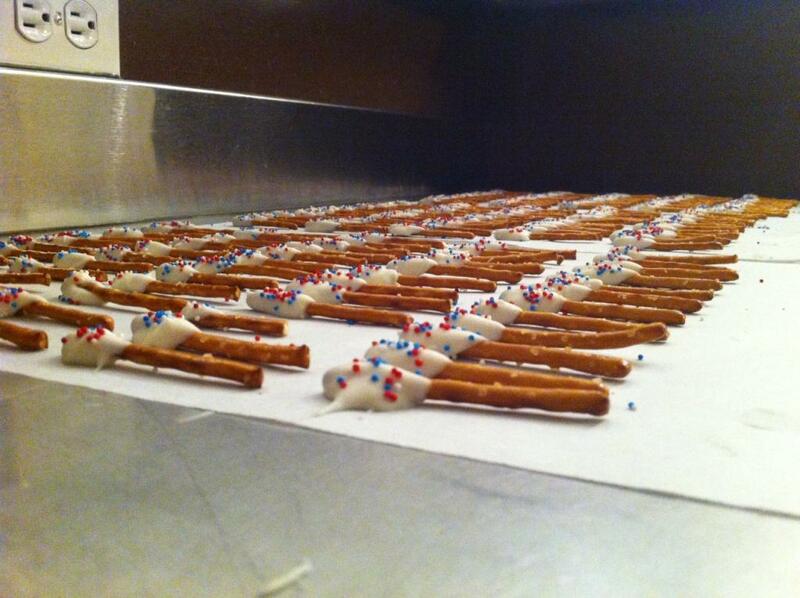 We dipped pretzels in melted almond bark and then Simon sprinkled them. 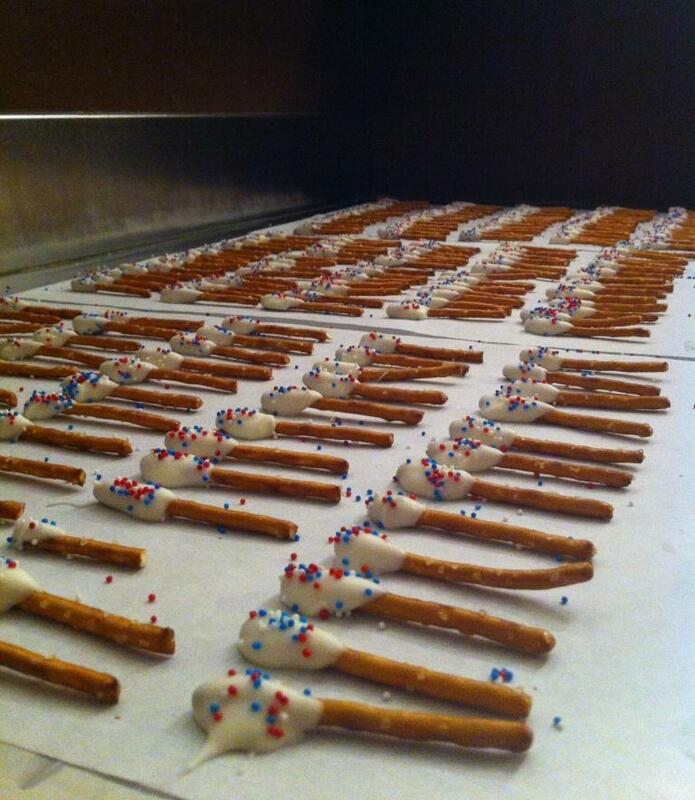 They harden in about 20 minutes on parchment paper. Then you can scoop them up and serve them in a bowl. So easy! 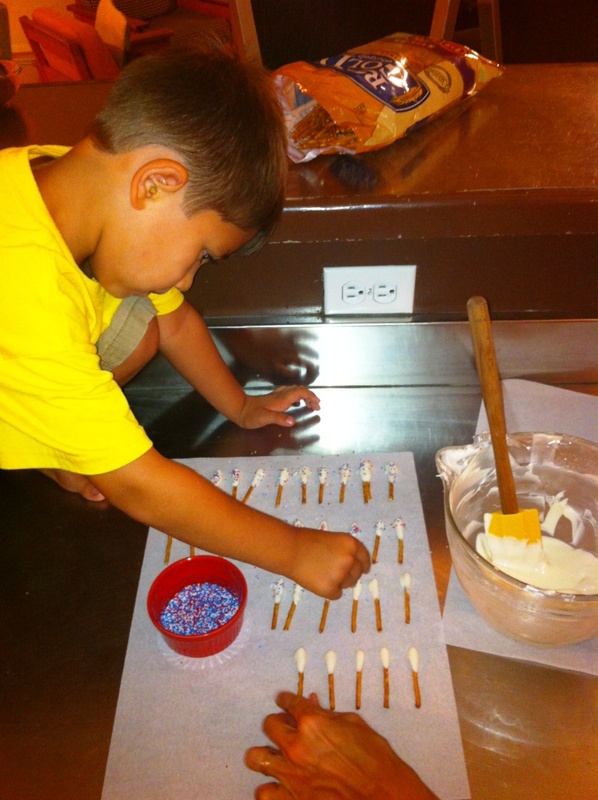 And we decided they almost look like little torches. The kids took them in their lunches all last week. So fun!